It is believed the name Milford arose from the large number of mills and fords located on the several streams of the township. The area’s first settlers, aside from the Indian tribes, were Mennonites who came here around 1712 or earlier from Germany. William Penn sent English and Welsh people to live here and they were later joined by Lutheran and Reformed people from the Palatenate in Germany and Swiss and French Huguenots. The township is comprised of the villages of Brick Tavern, Finland, Geryville, Milford Square, Mumbauersville, Spinnerstown, and Steinsburg. The town of Trumbauerville located in the center of the township is an independent borough and is not now considered to be part of Milford Township. The village of Brick Tavern is named for the tavern built in 1818 by Henry Shelley. Shelley was a descendant of one of the earliest groups of Mennonites to settle in the township about 1720. The Brick Tavern Inn (still in operation today) was located on one of the main stagecoach routes between Allentown and Philadelphia. The bricks for the tavern are said to have been fired on the site as red clay for bricks and for pottery such as redware is abundant in this area of PA.
Amid the trees and huge rock formations which abound in the southwest corner of Milford Township lies the village of Finland. This spot was often referred to in the Roaring 20’s as the “Poconos of Philadelphia” and as “The Fineland”. It is from this latter name that the post office put it on the map as Finland in 1886. Many summer camps were operated here over the years such as Camp Oaks on Nursery Road, Camp Silver Moon (operated as a Boy Scout camp), Camp Cedar Hill at Red Bridge, and the one still in operation today – Camp Men-O-Lan. Originally this area was known as Aurora but the name was changed to Geryville in 1871 after the postmaster, Jesse Gery. In the center of this small village stands the former Geryville Publick House (now known as theThatched Inn). This tavern played a vital part in the Fries Rebellion of 1799. This town is located in the center of Milford Township and was formerly known as Heistville until 1850. Earliest settlers were Mennonites from the Palatinate in Germany by the name of Clemmers (or Clymers) and Schelles (or Shellys). 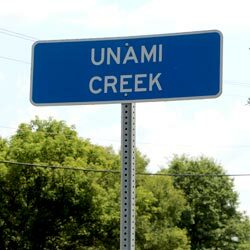 There were many mills in this town (hence the name) situated along the Licking Creek, a branch of the Unami Creek. Rosenberger Mill, Clover Leaf Mill, the D.S. Heist Grist Mill, Roth Mill, the Henry Blyler Mill, the J.S. Schull Grist Mill (later Potts Mill), Fochts Mill (later Campbell’s Mill) and Achey’s Mill which is still standing and serves as a private residence. This small village lies east of Geryville and was once the site of a prosperous cigar making business, as were most of the villages of Milford Township at that time. This town takes its name from the Spinner Family who settled there in 1753. David Spinner (born in 1758) was a potter who practiced the art of sgraffito on redware using the red clay of the area. His house stands across from the Spinnerstown Hotel, formerly known as “The Sign of the Spread Eagle” which was also run by members of the Spinner Family -first David in the 1840’s, and later his son Edwin in 1853. The hotel has been owned by the Dale family since 1959 and is a favorite dining spot for many. Located on the toll road from Philadelphia to Allentown (now Allentown Road) the town takes its name from the 1834 owner of its hotel, George Steinman. This town boasted a tannery, a coach maker, a butcher, a blacksmith, a grist mill, and a creamery. Over the years there were three homes which served as undertakers. Erdman’s Bottling Works where soft drinks were made was in operation from 1929 to the early 1960’s. Today there are no businesses in operation in this section of Milford Township but it remains a lovely place to visit at the intersection of Allentown and Steinsburg Rds. The majority of US population knows nothing of this important part of our nation’s history. Knowledge of the Milford Rebellion or Fries Rebellion could easily have been lost had it not been for W.W.H. Davis who published his work in 1899 (work done forty years earlier before the Civil War), of the events “interesting in themselves, but too suggestive of the friction between the people and their newly established government.” This passionate conflict caused many to take up arms and spread terror such as in a discovered letter threatening, “I say in case of an outbreak I will burn your house and your barn and will shoot you and your brother dead… you are never safe in your house.” Fear was real and deeply felt by Americans uncertain of the fate of their fledgling government. The war may have ended, but aggressions continued beyond the presidency of Washington. The Jay Treaty calmed tensions with Great Britain, but raised suspicion in France and among Jefferson’s Democratic-Republican party who thought the Federalists were trying to move back towards monarchy. The French monarchy, whose support was essential to American independence, was being strangled by its own war debt and was subsequently toppled by the bloody French Revolution. Soon the French Navy and privateers began capturing American merchant ships and an unstable United States government found itself in an undeclared “Quasi-War” with no navy to stop marauders from cruising the entire length of the Atlantic seaboard. War was imminent. It was a time of viscous slander, open wounds, hatred and suspicion. Congress passed the “Alien and Sedition Act” that allowed deportation and harsh punishment of those posing threat to the government. John Adams was called a despot. The nobility of the American Experiment was too often lost in ugly power politics. It was in this context that The Fries Rebellion unfolded. The rebellion was led by local German settlers who feared a return to the oppression they had left in Europe. The 1798 tax, often known as the “Window Tax” was the first federal tax on houses, buildings and slaves. Because of the protests, Upper Bucks and Northampton counties became the center of national attention. The arrest of a few of the leaders of the tax protest roused John Fries and his German speaking neighbors who rescued their friends from the federal marshals at Bethlehem. Eventually the militia was sent to arrest the leaders of the rebellion, who were taken to Philadelphia and jailed. After two long trials Fries and two others were sentenced to be hung. President John Adams pardoned them before the execution could be carried out. The old timers know! They remember the summer park on Sleepy Hollow Road at the end of Miller Road called Sleepy Hollow Ranch. Ray Heffentrager rode there standing on the back of a horse and hanging from its side earning him the scar on his head where he took 13 stitches. You might think we’re tootin’ our own horn when we say it was the “Country and Western Capital of the East Coast”. But that ain’t far from the truth so help me. Sally Starr was a regular. Ever hear of Roy Rogers? Not country enough? How about Minnie Pearl and Patsy Cline? Gene Autry, Jimmie Dean, Eddie Arnold, Bill Haley and the Comets, Frankie Avalon, the Carter Family. Got yer attention yet? Ever hear the song “Cool Waters” or “Tumblin Tumbleweeds”… cowboy songs that “painted the west with a brush of music”? They were written by Bob Nolan and boy was he swamped by fans when he showed up with the Sons of the Pioneers in 1941. You still don’t believe me, do ya?